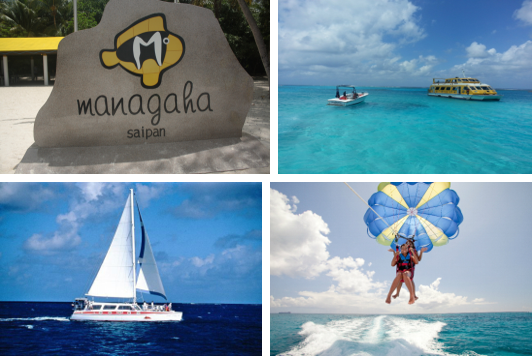 Managaha Island, a Saipan treasure, is a water sports paradise. Known as the best place in Saipan, this place offers an ecstasy look and a wide range of tropical fish. Also, it is a heaven of water leisure for various activities such as banana boat, parasailing, beach volleyball, sunbathing. ​​Also, Managaha Island is a small uninhabited island that takes about 15 minutes to walk around the island. Saipan is always beautiful, but is considered the most beautiful place at sunset. The best way to feel the beautiful atmosphere of beautiful beache and sunset is to experience the Sunset Cruise. you can apply by the end of February and get a special discount of about $100.